The different length blades allow for different pitches of sounds but all are capable of around 2 octaves if played to their full capacity. 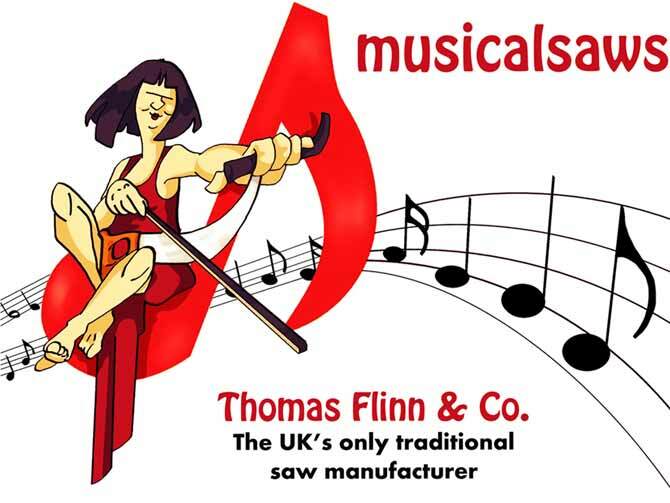 From the UK’s only manufacturer of musical saws and other high quality traditional saws. The Musical Saw is truly an amazing instrument, creating very interesting and beautiful sounds that sound great as a solo instrument or as part of an ensemble. These make excellent gift items for the musically minded or for anyone willing to try something a little different! The Roberts & Lee Parkstone Melody Saw comes in various sizes and with two different handle types to cater for different budgets. They have been developed in conjunction with the help of Charles Hindmarsh, aka The Yorkshire Saw Player. *All come with the option of having a beech handle or a walnut handle. We also supply bows, rosin and the “cheat” (handle that enables you to bend the saw with ease). We also have a guide available upon request written by Charles Hindmarsh to help beginners.